Isolated from its origin timeline, divergent from its source, and from the common pathway of normality; the Human Order. A meaningless single frame, separated from the sequence we call "time", yet bound to its own, aberrant tempral axis, leading to nothing but self-destruction. An event that should not be, leading to the collapse of the proper route of history. Somewhere, at some point, detecting and correcting these irregularities became the purpose and duty of a certain security organization.However, Chaldea cannot reach everywhere. It cannot undo every tangle, unmake every snag, smooth every wrinkle. Its challenge is already titanic enough. This, is a Lost Singularity. A rebellion against the current ways of man, far from the eyes of Chaldea. No rayshifting Master will arrive to resolve it. If this Singularity is to be corrected, it will be by the people of that broken timeline. You are one of those unfortunate ones. If you wish to restore your world, if you wish a future for yourself and those around you, then you must face the city of frozen death, challenge the rising black sun, and shatter the throne of the gods. The stage is Valparaiso, Chile, in the year 2015. The city will be captured by a sinister plot, and detached from the temporal axis, converting it into a Singularity in which our Protagonist is inexorably trapped. Only death awaits those trapped in the frozen city, so, should we want our PC to hold on to their puny existence, they must challenge those responsible for the Singularity, and restore the proper course for their world. Before we can start writing the tale of the City of Death and the Black Sun, we must create a "player character" and complete the "setting". The survey linked above will be open for 72 hours as of the posting of this thread. The survey has six questions, and I will use the answers to create our Protagonist. Based on the information I then provide you, you may, if you so wish, decide together on a name and/or faceclaim for them. Setting CreationThe survey linked above will be open for 72 hours as of the posting of this thread. The survey has five questions. I will use the answers to complete the setting for Fimbulwinter, and perhaps more importantly, decide on the Servants that will be drawn to the Singularity, for one reason or another. Fimbulwinter is an Adventure quest, with some influence from the Survival genre. However, given the circumstances of the setting, attrition from lack of food or water should rarely be a critical issue for our heroes. Each “in-quest” day consists of five Phases: Morning, Midday, Afternoon, Evening, and Night. Quest players get to decide on Javier’s and Maria’s Actions during the Morning, Afternoon, and Evening Phases through voting, as detailed below. If they have other allied NPCs in their Base, the players can also decide on those NPC’s Actions. At the end of each Phase, the players will vote on Javier’s and Maria’s Actions to take in the next Phase, following the rules outlined below. Javier and Maria can take either an Exploration Action or a Management Action on each Phase, or they may choose to Rest. Note that Javier’s and Maria’s actions are allotted separately, even if they are physically together. In other words, even if the two are, for example, traveling together to the same location, this counts as the available action for that Phase for the two of them. In an Exploration Action, the character (Javier or Maria) leaves the relative safety of their Base to brave the perils of the frozen city, for whatever reason: exploring a certain area, looking for other survivors, meeting with distant allies, challenging enemy Servants, etcetera. To do this, quest players will vote on the location to be visited by the character, among the locations unlocked in the Singularity Map. A Management Action is one intended to further Javier and his allies’ survival in the frozen city. Examples of Management Actions are presented here, but they are not limited to these options—writing in a different course of action is still an option, within the boundaries of QM fiat. Forage: The character leaves the base explicitly in search of necessary things like food, tools, materials, etcetera. It is especially important to ensure ready availability of water at Base. Do keep in mind that every Exploration Action is to a degree also a Forage Action—even if they leave Base with a different purpose in mind, our heroes are mindful enough to keep an eye for valuable resources wherever they go. Prepare Meals: The character, which must be at Base to use this Action, prepares meals for everybody currently at the Base, if there is enough food and water. The Food and Water level of the Base will define the resulting Sustenance levels of those partaking of the meal. There is not a separate “Eat Meal” Action. It will be assumed that, when a Prepare Meals Action is taken, all allies at Base partake of the meal. Repair: The character performs repair work on the Base, aiming to improve either the Warmth or Fortification level of the Base. Change Base: When Javier performs this Management Action, the previous Base is abandoned, and his current location becomes the new Base. All allied characters (including Maria) must then take Change Base Actions to move into the new Base. Instruction: The character studies magecraft or teaches magecraft to another character also taking the Instruction Management Action (as a student). When a character is set to Rest, they rest at their current location for the entire Phase’s duration. This is an important choice for the restoration of Health and Stamina. Unless the players’ choices trigger a different outcome, all allied NPCs always take the Rest Action in every Night Phase. Our Protagonist, Javier Lucero, has four status parameters of note, described further below. Each status is attributed a value or level in the Status Scale: Critical – Poor – Stable – Good – Optimal – Superb. Javier’s status parameters are updated at the beginning of each scene (story post). Health is Javier’s overall physical and mental integrity—his hit points, in videogame terms. Health dropping below Critical would result in Javier’s death. Sustenance represents the degree of food and water intake Javier has taken. Sustenance is updated on the Phase following a Prepare Meals Action from which Javier benefits. It is a critical status in that it acts as a hard, intrinsic limit on Javier’s physical and mental performance. Warmth indicates how well Javier is currently protected from the harsh cold of the frozen Valparaiso. It is a critical status in that it acts as an external limitation to Javier’s physical and metal performance. Stamina is an assessment of Javier’s current physical capabilities. Stamina also includes Javier’s capability for casting spells—his MP, if using videogame vernacular. Javier’s Stamina value can never be higher than his current Sustenance value without supernatural means. Food is the Base’s stock of edible sustenance. It determines the effectiveness of Prepare Meals Actions performed at the Base. If the Base’s Food status is insufficient to feed every person at Base, a vote must be performed to prioritize the rationing of the remaining food. Water is the Base’s immediate access to the vital liquid. It determines the effectiveness of Prepare Meals Actions performed at the Base, and the restoration of Health through Rest Actions. Insufficient consumption of water every day has an immediate effect on a character’s Health and Stamina. Warmth represents the Base’s degree of protection against the elements. It replaces a character’s Warmth status while at Base, if higher. Keep in mind that no amount of warm clothes will protect you for long in the middle of a blizzard, and that is not the worse Fimbulwinter will throw at you. Defense represents the Base’s fortification level against physical assault. Of course, walls may stop bullets and blows, but only mystery can protect against mystery. When exposing himself to the harsh cold of the supernatural Fimbulwinter without suitable protection, Javier risks succumbing to hypothermia. Whenever his Warmth level is Poor or lower, continuous exposure to the cold will erode his Stamina level. When his Stamina reaches Critical level, further exposure to cold weather will then decrease his Health level. As usual, Health dropping below Critical equals death. Hypothermia kills slowly. It is nonetheless dangerous in that a wound that would have otherwise dropped Javier to Critical Health can kill him because his Health has been lowered by the cold. At certain points throughout the Quest, whenever the Main Characters discuss the issue of Servants, participants in the Quest can influence this discussion by presenting their own speculations on the identities of the Servants in Fimbulwinter. Naturally, correctly deducing an unknown Servant’s identity is a boon to our protagonists, regardless of whether they wish to befriend the Servant, or defeat them, even if the nature of that boon is unclear at first glance. When under the effect of Sthūla-Śarīra, Javier is immune immune to the harmful effects of natural fire and heat; namely, all fire and heat not born of supernatural spells and effects, as long as its temperature does not reach beyond what is achievable by the planet’s natural phenomena. Javier has reached a liminal state of divinity, not quite human, not quite Divine Spirit. 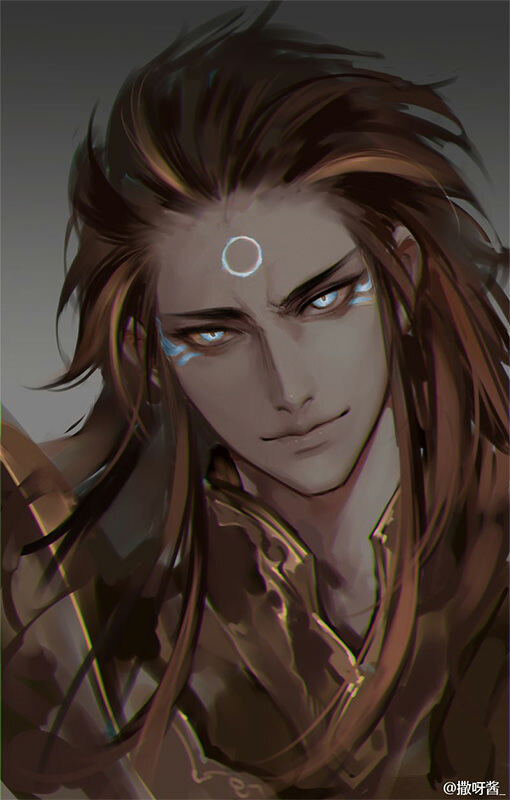 He is affected by spells and effects that target mortals as if he were mortal, and by spells and effects that target Divine Spirits as if he were divine. Javier has undergone minor physical alterations that, while noticeable, in no way affect his human physiology. Javier's capability to use orthodox magecraft is diminished as his body has partially changed into a form more suitable to manifest supernatural phenomena through different principles. Too bad there’s none of that True Ether around. A version of Mana Burst that infuses one’s body and weapons with Magical Energy that imparts a flame effect. At this rank, Javier can merely imbue his physical attacks with an effect equivalent to his Fireball spell, and only when under the effect of Sthūla-Śarīra. While Sthūla-Śarīra is active, your Warmth parameter is fixed at Optimal no matter the weather conditions. It can still be increased or decreased by other magical effects. • Born in Concepción, but apparently spent a considerable portion of his childhood in the town of Villarica. • Discovered his magical talent by accident during his childhood. • Code Name "Child Zero". The meaning of the title conceived by the Church remains unexplained. • Unable to connect with anything or anyone, he left home upon finishing high school, afflicted by inescapable wanderlust. • At some point in his early travels he reached Valparaiso and met Father Ricardo Scherer, who helped Javier until the young man could truly stand on his own feet. • Since then, Javier has traveled the world doing all sorts of odd jobs. During a short stay in Istambul, he got a hold of a theosophical text which granted him epiphany regarding his magical abilities. • Highly dexterous, likes working with his hands, and is constantly teaching himself things thanks to the virtues of the Internet. Despite his lack of formal education, he is a skilled carpenter, and can draw decent sketches if needed. He is an avid reader, always downloading new stuff to read to his smartphone, whose loss with the arrival of Fimbulwinter wounds him deeply. • Javier has seen a lot of the world, working odd jobs here and there, never having trouble finding a job in a cargo ship or train whenever he was ready to move on. He has been a construction worker, a fisherman, a car mechanic, and a tech support employee, among other things. Not a glamorous life, but it is his life, built on his own terms, and that is his pride. Javier has found a center and a direction to his magical development after reading “The Key to Theosophy” by Helena Petrovna Blavatsky. He found patterns and ideas in what he originally believed was pseudo-intellectual prattle, that he realized resonated with the as-of-yet unknown mechanism behind his magical powers. In other words, by directing his powers in ways inspired by the fundamental concepts of theosophy, he could expand the boundaries of his abilities far beyond his expectations. He is so impressed by his results that he concluded that “The Key to Theosophy” was purposely written as concealed magical instruction, which naturally implies that Madame Blavatsky possessed authentic occult knowledge and powers. As an orthodox theosophist, Javier follows the Seven Rays ideology as originally dictated by H. P. Blavatsky, in contrast to the original gnostic, Mithraic, Catholic, and Hindu formulations, as well as to later modifications presented by other theosophists who could not agree on (or plain figure out) Blavatsky’s ideas. Madame Blavatsky started from the idea that all existing religions are incomplete attempts by the Spiritual Hierarchy to push humanity towards transcendence. Therefore, all religious hold in their dogma a fragment of the absolute truth. This is the foundation of theosophy’s strong syncretistic approach to mysticism. The seven rays, a symbolism observed across many different faiths, were Blavatsky’s go-to example. She then expanded on these seven rays, calling them “emanations from the macroscopic centre”, and the different light-substance components of the created universes. By these she does not only mean “physical components” like atoms or subatomic particles. Blavatsky stated that all things in existence are sevenfold. If everything can be arranged in sevenfold patterns, then magecraft is no exception. Theosophist magi classify magecraft into seven branches, and they tend to specialize on the branch with affinity to their own affinities. In the case of Javier Lucero, who does not know his Origin or his Element, he briefly went over all seven branches until one “clicked” with him. That’s how he concluded that he was more closely attuned to the Fifth Ray and the discipline of Alchemy. As a Fire Theosophist, Javier is naturally more adept at syncretic magecraft that separates things, creates distinctions between things, and imposes definite forms. Blavatsky’s Terrestrial Alchemy is the physical discipline; the precursor of modern chemistry, seeking the transmutation of the baser metal into the noble one, and the completion of the magnum opus. Therefore, rather than spells, mastery of alchemy involves mastery of processes: calcination, ceration, cohobation, congelation, digestion, distillation, fermentation, filtration, fixation, multiplication, projection, solution, sublimation, etcetera. It is seen as “lesser alchemy” by theosophists, more of a “natural offshoot of the true alchemies”, than a worthy discipline of its own. However, Javier Lucero is pragmatic and simple-minded; he likes things with a concrete form and a concrete application, so he loves terrestrial alchemy. He’s always been good at following exact instructions and dexterous with his hands, so he quickly became fairly skilled at this. It is only the part where “magic” is put into the process that’s proven a bit tricky. It is the first step of truly “mystical” and “occult” alchemy. Madame Blavatsky defined it as “the transmutation of the baser quaternary into the divine upper trinity of man, which when finally blended, is one”. Human Alchemy aims at the transmutation of the lower nature of man into the pure gold of the Higher Trinity—Atma, Buddhi, and Manas. Madame Blavatsky would roll in her grave if she knew that Javier cares not for spiritual transcendence. He is too grounded on the material world to grasp those lofty ideas, or even care for them. To him, Human Alchemy is a tool he can wield to supplement and enhance the Terrestrial Alchemy he favors. As a wanderer, he cannot carry an alchemy lab everywhere he goes (also, it’s expensive), so he uses the principles of Human Alchemy to make up for this lack of instruments. Indeed, his ideal is to one day be able to ingest all components, perform all alchemical processes inside his body, and then throw up (or evacuate, whatever works) the completed result at the end. Therefore, aside for a few experiments in other directions, Javier’s magecraft has followed this rather bizarre paradigm. In English, Alembic. A simple spell that transfers heat from one object he is touching to another. As per the spell’s namesake, Javier generally uses it for distillation: a container acting as the receiver is turned into a natural condenser for the vapors produced when heating a second container with the heat extracted from the first container. As a heat conductor, there are limits to how much heat his body can withstand to transfer. This is the reason he has not develop a spell to turn himself into a living alembic; there is only so much heat he can generate and withstand in his stomach without harming himself. In general, this is a very useless spell, as it rarely supplies enough heat of its own, so Javier almost always relies on “standard fire magecraft” to produce flame or just heat. One of Javier Lucero’s original Human Alchemy spells. While the process of alchemical digestion is supposed to be slow and carefully controlled, Javier turned the idea upside down, reducing the spell to a “mere” enhancement of the digestive and metabolic processes of his body. Madam Blavatsky would probably smack him for his gall. While this spell is in effect, Javier can digest anything that is remotely edible without fear of poisoning, and the extraction of nutrients and absorption into the bloodstream and body tissues takes minutes rather than hours—the effects of any Prepare Meals Action are received on the same Phase, rather than on the next Phase as normal. Unfortunately for Javier, there is a reason alchemical digestion is supposed to take weeks, and accelerating the process using his body has a detrimental effect on the quality of the result. Javier has no idea how to further improve of this spell’s performance; it might as well be impossible. The fundamental fire alchemy spell developed by Javier, using the syncretic foundation of theosophy, but centered around Neoplatonism and the Chaldean Oracles. It started as a simple spell to filter solid particles out of a liquid solvent, but by enriching it with further mystery, it has evolved and keeps evolving into a general, all-purpose “separation” spell. It currently works almost flawlessly to separate any and all components of a solution. 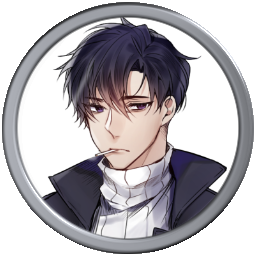 The spell’s performance is strongly dependent on Javier’s knowledge of the solution’s individual components—it is much easier to extract the poison out of the wine if he is completely sure there is poison, and even easier if he knows exactly what poison it is. It must be emphasized that the spell currently only works on solutions and amalgams, not compounds; for example, it cannot separate water into hydrogen and oxygen. However, there is theoretically no reason for the spell to not be able to unravel atomic bonds. It could also be taken into a conceptual direction, separating tangible matter from intangible properties, or in a purging direction, separating an object from whatever mystery exerting influence upon it. To do such a thing, however, Javier would have to either expand his understanding of Chaldean Theurgy—impossible without the source materials he could not take out of Istambul—or find a different suitable foundation. A basic energy conversion spell with a foundation on the sevenfold nature of all things in Creation, as per the theosophist principles. It is also related to Rosicrucian philosophy. While something like a simple fireball is a trivial spell in most thaumaturgical systems, by drawing upon the aspectual separation of the simple concept of “fire”, the theosophist can achieve unparalleled efficiency in the conversion of magical energy into manifested flame. Furthermore, by tapping into different aspects, it can achieve different manifested effects (electricity, light, radiant heat, spontaneous combustion of matter) with basically the same spell. On a side note, Javier uses the English word for the spell’s name. He just doesn’t think the words “Bola de Fuego” flow nearly as well out of the mouth. A simple, albeit somewhat strange magecraft, which Javier developed more as an experiment in spell design than anything else, as part of his developing understanding of what he could achieve after grasping the theosophical system. Unlike Ekhtros, which separates things that are already mixed together, this spell isolates an object, preventing it from mixing with anything else. Javier visualizes it as an invisible raiment of fire that wraps itself around the object, preventing it from interacting with anything else. The effect of the spell is very limited. Javier can use it to protect himself from falling rain, but not from being washed away by a flood, or to make an incoming fist slip off his skin. It can protect him from accidentally burning himself by a stove or a bonfire, but it would not allow him to swim in lava. Its intended use, after all, is the preservation of the purity of an alchemical material. The true potential of this spell, however, remains unknown and indefinite, as it is currently limited mostly by Javier’s ignorance of magecraft. The theosophical denomination for the physical body, that which is perceived by the five senses; the first and lowest of the seven principles of the human existence. In the orthodox theosophical system of thaumaturgy, it is their advanced version of Reinforcement, originally developed by Helena Petrovna Blavatsky. Javier’s merit lies in that he developed it independently, without instruction by another theosophist. It is, by far, the most advanced spell in his repertoire. It is not merely enhancing a body’s strength and durability; it is tapping into the body’s “cellular memory”, urging it to look back on everything it has done to that point, and correct any previous errors to optimize physical performance. It is grounding the body into observable reality, enhancing its “physicality”, bringing it closer to the World, and thus boosting its resistance to foreign magical effects. However, that same “enhancement of physicality” also pulls the magus away from the mystical. Unless the magus is a master of the orthodox theosophical system (which Javier is anything but), while using this spell the magus cannot use any other magecraft. On the other hand, its efficiency is nigh-unparalleled, especially if the magus focuses the spell on a specific part of the body’s anatomy or physiology. Conversely, the spell being so effective can be a double-bladed sword, to a degree that the magus has to be careful not to destroy their own muscles, bones or internal organs by making themselves too strong. This might just be Javier’s closest approach to the true purpose of Human Alchemy. However, even here we can see his pragmatic, purpose-oriented approach to magecraft. The transcendental secrets of theosophy, magecraft, and Cosmic Alchemy will likely be forever beyond his grasp. Not that he particularly cares about the Root, Mahatma, or enlightenment, anyway. On another note, in the hands of a true master this spell can achieve even more, allowing for the enviable feat of defeating the passage of time and remaining an eternal loli (!?). Night 02 - Beyond Their Sight 03/Antarctic Man/Out of the Frying Pan...? Last edited by Daneel Rush; April 23rd, 2019 at 02:38 PM. A Skill that reduces the parameters of the statistics of 'heroes' that the Servant faces in combat. A Class Skill of the Saver Class. At this rank, one of the physical attributes of an enemy engaged with Saver is reduced by one rank for the duration of the fight. The ability to remain independent even when rejecting the Magical Energy supply from one's Master; the ability that allows for action even in the absence of the Master. At higher ranks, it is also possible to remain for extended periods of time in this world without an established contract. 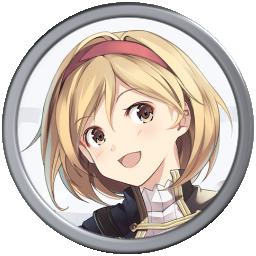 Maria’s own capacity for magical energy would allow her to sustain Saver for approximately twelve hours without a secondary source. Using a Noble Phantasm would significantly reduce this limit. Grants protection against magical effects. Differing from the Resistance effect that merely rejects Magical Energy, this ability cancels the spells altogether. At this rank, it cancels spells of A-Rank or below, no matter what High-Thaumaturgy it is. In practice, the Servant is untouchable to modern magi, so it would not be an exaggeration to title the Servant a “Magus Killer”. A Skill suitable for Servants whose legend sets them as an adversary to a specific another. It represents a figure that opposed, challenged and harassed their destined archrival, becoming the agent of their downfall. It grants the power and willpower to maintain ceaseless pursuit of the destined opponent, which to a degree makes this Skill related to Stalking. Furthermore, this Skill modifiers the Servant’s other Skills, boosting their effects when used against the Servant’s fated rival. Grants protection against magical effects. Differing from the Resistance effect that merely rejects magical energy, this ability cancels the spells altogether. At this rank, spells will not be canceled, but magic damage is reduced somewhat. The Skill denoting the ability to ride mounts and vehicles. At this rank, all vehicles and all creatures but those of Phantasmal Beast and Divine Beast-rank can be used as mounts. The Skill to manufacture magical items, from implements of war to items for daily use. Also, this Skill requires time to gather components and manufacture items. Rider’s "legend" limits the scope of this Skill to unconventional weapons and vehicles, wielding technology clearly beyond the public understanding of humankind's scientific prowess. A Skill that represents the depth of one's Divine Spirit aptitude, how close one is to a Divine Spirit. It also has an effect which reduces special defensive values called 'purge defense' in proportion to the Divinity's Rank. It can break through Skills such as Protection of the Faith and Enlightenment of the Sacred Fig. The sensible blessing of a rare goddess with common sense. 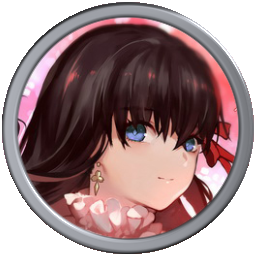 All parameters except for LCK and NP, as well as the Skills Divinity and Magic Resistance, gradually increase in rank the longer Lancer stays in battle, to a maximum rank of A. Parameter and Skill ranks reset at the end of battle. It’s a very powerful, and very by-the-book Skill; the kind that gives an image of a certain goddess wracking her head to come up with an appropriate blessing, like a bachelor in his thirties suddenly asked to think of a present for a sibling’s young daughter. The sacred weapon bestowed upon Lancer by the god Erra, at the behest of the goddess of fates. A large spear-like weapon, with a tip the length and shape of a scimitar, and a socket shaped like the head of a mace, suitable for inflicting blunt force trauma. It is a big and heavy weapon, the like of which would not be wielded comfortably by the average human. Of course, Servant Lancer has both the strength and skill to wield this clumsy armament with masterful skill. The spear was originally a ritual tool enshrined in the Temple of Meslam in the ancient Mesopotamian city of Kutha (Gudua in Sumerian). It is therefore a physical manifestation of Meslamtaea; what in Shinto would be called a shintai. It constantly gathers ambient magical energy and divine blessings whenever and wherever available, and Lancer can store his own magical power in the weapon as well. Invoking the Noble Phantasm’s true name accelerates the effect of Sensible Blessing of Laz, pumping up some of Lancer’s Parameters and Skills. It further allows releasing the stored energy into a powerful mid-range attack with A-rank Strength, regardless of Lancer’s current STR rank. This energy, furthermore, is inevitably painted in the colors of Meslamtaea, in what can be described as Mana Burst (Decay). manifests from the spear—itself an alteration of Lancer’s own melam, stretching out to effectively triple the weapon’s range. Those who are immersed in the radiance not only take damage as if struck by the physical weapon; they experience their magical energy being eroded and wasting away into uselessness. The Servant will experience a kind of “magical anemia”, and the mana circulating in their body will prove less and less suitable for sustaining the Saint Graph with every strike of the spear. In a standard Holy Grail War, the constant, ever-increasing demand for a “healthy” intake of magical energy will end up killing the Master after their Servant takes enough hits. A Class Skill of the Avenger class, representing the state of an Avenger as one that gathers people's hatreds and grudges onto oneself. It is easier for one to accumulate hatred and resentment. The rate of mana generation becomes higher when receiving damage. A Class Skill of the Avenger class. People are creatures that forget many things, but an Avenger never forgets. The critical effect of Avengers who attack from beyond one's memory is strengthened. A Class Skill of the Avenger class. One's magical energy endlessly surges until their revenge is accomplished. Recovers a minuscule amount of magical energy every turn. It appears the rank of this Skill should be higher. It is likely a consequence of the fact he was not summoned as Avenger, but rather his Saint Graph was tampered with until he underwent a change of class. Or, perhaps, it is solely because he has manifested as Avenger not to persist in the vendetta that defines his legend, but for a different battle. * Javier's roommate at the Hostel, Casa Volante, at the time of the start of Fimbulwinter. Claims to be an aimless young woman taking a sabbatical year after high school. * Energetic, direct, confident. A positive person who perhaps needs to think a little more before speaking. * Wears a somewhat creepy bracelet made with blonde human hair. * Maria has become a Pseudo-Servant, possessed by an agent of the Counter Force who found themselves unable to manifest in Valparaiso on their own. Within the Servant paradigm, it has been attributed the Saver Class. * In spite of this, there seem to be no obvious psychological differences between pre- and post-possession Maria. * Carries a strong, personal hatred towards Nazis. * A person Javier feels indebted to, for having granted him lodging and support when Javier started living on his own. 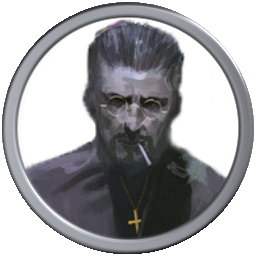 * As a man of the cloth, he has for years proved himself an exemplar of selfless service; a pillar of the community, despite looking like a guy who solves his problems with his fists. * His tough looks have given him a whole list of nicknames, but the most popular is "Father Scissors", from his German last name. * He was born in Valparaíso from a German father and a Chilean mother, and he spent a portion of his youth in an undisclosed location in the Old Continent. * Appointed by the Church to liaise with and monitor the local magi, as well as to keep an eye on the Nazi presence in Chile. * A wall in his office is covered with framed pictures taken with friends and famous figures. * Speaks English fluently. Son of British parents. * Owner of a jewelry shop. * Aware of the world of magecraft. His actual prowess as a magic user is unknown, but it is clear he can at least wield the most basic techniques. According to Sakura, he is very competent at reinforcement and alteration. * Married less than three months ago, but his wife was entrapped by ice on the onset of Fimbulwinter. He fell into melancholy and resentment, but the possibility to break Alicia out of her prison has been offered to him by Maria Westinghouse, so he is at least willing to cooperate with her. * He applies magecraft to his cigarrettes so they work in the severe cold. * Born in Japan, but raised outside that country since from a young age. * While not a magus herself, being connected to two magus families has inexorably tied her to that world. She is better known in the magic-less world as the popular pro-wrestler, Crown Cherry. * She traveled to Valparaiso to procure a new supply line for quality gems for Luvia, but ended up trapped in Fimbulwinter. Now she is struggling to watch over the melancholic Oliver and keep him from giving up on life with vague positivisim. * Sakura wields two glove-type Mystic Codes, Hand des Himmels and Hand der Hölle. Last edited by Daneel Rush; February 15th, 2019 at 01:02 AM. Yeah, for once, I'm hyped. So are you deciding the results from the most-picked choices, or the most-picked set of choices? Each question is tallied individually, if that's what you are asking. EDIT: Furthermore, every single "answer" has a value, not only the one with the most votes. You can assume that the surveys are merely a disguise for the true, secret tallying taking place, using your answers to those seemingly arbitrary questions. You can only trust me when I say all your answers have the same intrinsic value, and I apologize for not being able to offer further assurance. Thanks to everyone who has shown interest by filling the surveys thus far. While we are certainly in the IC board, do not hesitate to comment or ask further questions in this thread. There's still some time before the story begins, after all. Last edited by Daneel Rush; April 1st, 2018 at 10:45 AM. Looks like fun. I did standard Shounen protagonist answers. cept for the pen and notepad. So will this be a post-Temple of Time thing with our MC being a newly recruited Master with our own new Servant? Also, will Mashu and Ritsuka be around? Because I just want there to be that possibility of some weird chick coming on the male cast and igniting Mashu’s suppressed Tsun instincts. Okay fine, I’ll just confess I just ship it. Also, will Mashu and Ritsuka be around? I think this has been rather clearly stated to not be the case, unless I'm misinterpreting something here. However, Chaldea cannot reach everywhere. It cannot undo every tangle, unmake every snag, smooth every wrinkle. Its challenge is already titanic enough. The survey linked above will be open for 72 hours as of the posting of this thread. The survey has five questions. I will use the answers to complete the setting for Fimbulwinter, and perhaps more importantly, decide on the Servants that will be drawn to the Singularity, for one reason or another. It is trivial to improve on what already exists. I still study your Quest of Fate on an almost daily basis in the hopes of building something just as interesting. On another note, there are 24 hours left before I close the surveys. I must admit, most of the things that needed to be set seem pretty decided already. There are only thing or two that could still be swayed by additional votes. Alright, the surveys are closed. Many thanks to the 29 submissions to the Character Creation and the 23 to the Setting Creation. Look forward to the next step, in which I introduce you to our protagonist. Alright, next step. 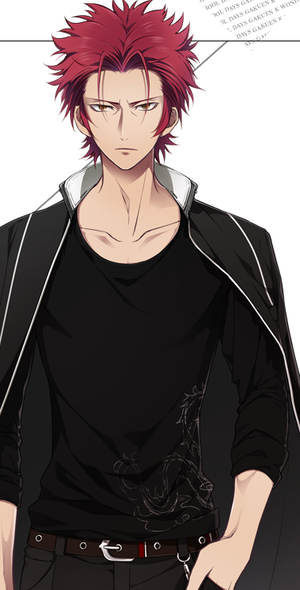 Naturally, we'll get to know our protagonist's true features and personality throughout the development of his story. The following statements are merely pointers aimed at helping you come up with his appearance and/or faceclaim. Unable to connect with anything or anyone, he left home upon finishing high school, afflicted with inescapable wanderlust. He is highly dexterous and likes working with his hands. Had he gone to college he would have probably studied something like architecture or engineering. Despite his lack of formal education, he is a skilled carpenter, and can draw decent maps and sketches if needed. A down-to-earth kind of guy, constantly living in the present. He is also an avid reader of non-fiction, always downloading new stuff to read to his smartphone. He is healthy, and gives the impression of a guy who would probably thrive in the military. However, he is at heart an introvert, and does not really possess a martial mindset. In Association terminology, he is a "spellcaster", and he is entirely self-taught. He doesn't know anything about magecraft or the Association, or even the term "magecraft". It's all just "magic powers" to him. He doesn't know about magic circuits, either, but he is well aware he has to "switch on his powers" before he can do anything with them. He doesn't know it, but his elemental affinity is "Fire". Naturally, the choice of name and faceclaim would also decide his birthplace. Do keep this in mind when you present your suggestions. Anywhere works fine, although it would make more sense if he came from a place with a major port. Naturally, being a native Chilean would give him valuable knowledge of the location, but other birthplaces carry their own intrinsic advantages (cultural and historical knowledge, for example). Let's allot at least another 72 hours for deciding on a name and faceclaim. Looking forward to your contributions. Do we know what exactly are his powers, or will they still be revealed to "the audience"? You will make the choices regarding his magecraft at the start of the story. For now, you can assume he will not have Mystic Eyes or any overt physical features derived from his magical qualities.